Smart A distinctive and reliable controller to start-stop the pump smartly and quietly deliver the water pressure. Silence Its design with its distinguished and innovative technology to complete the pump with extremely quiet in operation. Stylish Designed with advance technology with stainless steel materials. 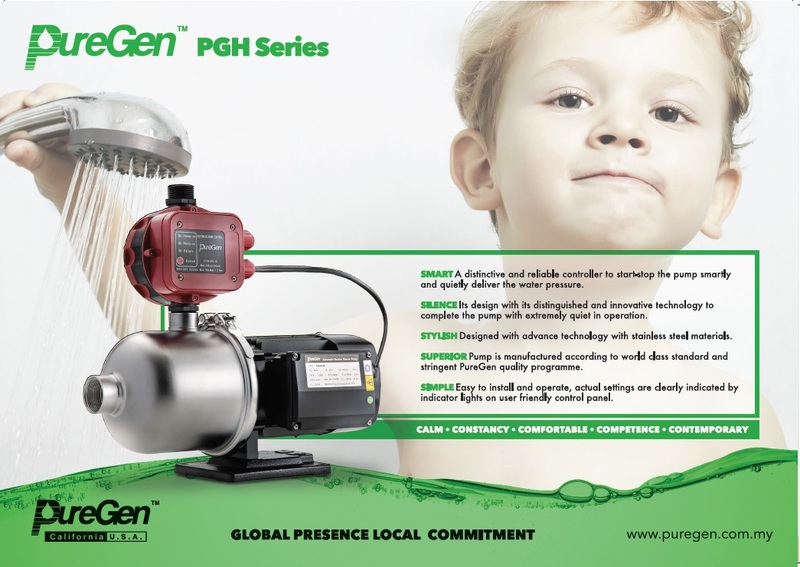 Superior Pump is manufactured according to world class standard and stringent PureGen quality programme. Simple Easy to install and operate, actual settings are clearly indicated by indicator lights on user friendly control panel. PureGen works with the NSF, and the WQA to ensure the highest quality and safest products. Many of our products are certified to the toughest industry standards. Our NSF series R.O. systems are certified to NSF / ANSI Standard 58. 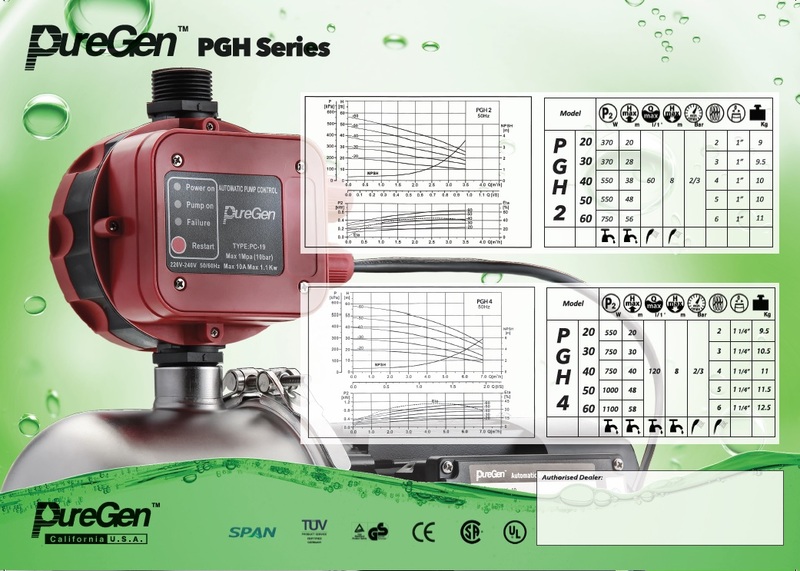 PureGen has been a leader in providing water treatment systems and components for over 15 years. With a diverse and growing product line of products made in the USA and overseas, we are able to provide you with the quality and pricing you need to be competitive in today’s challenging market.